Attending blog conferences can be very overwhelming, especially BlogHer. With over 3000 attendees, a vast expo hall, brand representatives wanting a bit of your time, and friends you want to connect with, it can be hard to focus in on the actual meat of the conference, the sessions. If we are going to devote blocks of time to sitting in a space and listening to a panel of speakers, it has to be worthwhile, right? 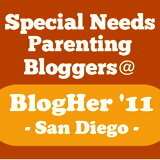 When I heard there was going to be a Special Needs Mini-Conference at BlogHer this year my initial reaction was that I might skp it. 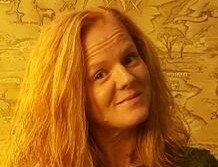 I’ve been a special needs mom for nearly 17 years and thought, what can I really get out of this since I’m such a veteran? What will it accomplish to devote such a large block of time to not only a lunch, but also a session with panelists? Julia Roberts over at Support for Special Needs (as well as the team at BlogHer) worked hard to make this happen and I felt that I owed it to her, her community, and to myself, to make an effort at a super sized session devoted to something so personal and consuming of my life. I certainly didn’t feel like I was somehow above this type of session, but nervous really, at the thought of focusing on something so near and dear to my heart. I picked a table to sit at and we all lined up to fill our plates from the delicious buffet that had been laid out for the lunch portion of our mini-conference. For the record, it was delicious. Every last bit including the desserts, which I enjoyed a great deal. Probably a little too much. It was casual and laid back and we chatted about our lives and our children and mostly I listened to everyone else. I’ve always been way more interested in hearing other people’s stories rather than sharing my own. There’s something to be said about sitting in a room where everyone just sort of gets it. I mean I realize our lives are all so very different with children at varying levels of needs, but these are people who won’t look down at my son or his behaviors, they would understand why it might be better for us to stay home instead of attending a party when he was smaller. They would realize there is probably way more to the story if they see my child having a meltdown in the grocery store, which could have happened when he was little. That’s a good feeling. We are all the biggest advocates that our kids have, we are their loudest cheerleaders when they accomplish the most little feat, and we are quite possibly more exhausted and know far too much about individualized education plans than those of typically developing children. Back to the meat of this mini-con. The speakers were a wonderful blend of humorous (this is kind of a must-have characteristic when parenting a child with special needs), emotional, touching, and overflowing with information. They talked about privacy when blogging about our child regarding things like whether or not we use their real names or a pseudonym, do we share photos of them in our writing, and just how much of their story should we be sharing with the world? It’s a lot to think about, not just when writing about special needs, but when writing about our kids in general. The sensitive topic of grieving the loss of the child we created in our minds for the one we were actually given was also talked about and certainly resonated with me, and I’m sure, many of the other attendees as well. Politics was mentioned as well, along with the basic civil rights our children deserve. There was so much more and I’m sure I’ve forgotten some of the most awesome content, but the experience as a whole was wonderful. I left wanting more. A couple of the discussions led me to thinking about ideas for the future, ideas that I’d love to talk about in a similar forum where there weren’t only parents, but also adults living with their own special needs and those who work in a support role for children with special needs. Thank you so much to Julia Roberts, those behind the scenes who worked tirelessly to make this happen, as well as the staff at BlogHer, for this wonderful little mini-conference in the middle of the crazy chaos that is the BlogHer conference. For that extra-large block of time my mind wasn’t wishing it were somewhere else. I wasn’t watching the clock wishing for it to end or thinking about which booths I needed to visit at the expo hall, or running through my schedule figuring out which party I was attending that evening. I was just there, in the moment, connecting with an amazing community of special needs folks. My hope for next year is that this will become a half-day session or possibly with some major brand support, a full day event with even more attendees. What a lovely, lovely post. I am so glad that you came and even though you are a pro, you still found your place at the table, among rookies and veterans alike. Thank you again! 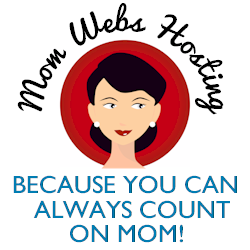 (already had two calls with BlogHer! Good conversations!). Thanks for letting me post it on our post…about to go do that now! Oh Julia I’m happy you like my post. I feared I wouldn’t do the mini-con true justice. I’d hardly consider myself a “pro”, but sometimes it feels like I’ve been doing this for a very long time and I don’t always appreciate the true benefits from attending such an important event. I’m glad you did it and I’m glad I attended and I’m super happy to hear you’ve already had conversations with BlogHer for next year. I’d love to be in touch and be a bigger part of whatever you do next year. Haha….the pressure of a deadline.I'm the same bad way, about everything. Hang it over my head, and I'll get it done.Pathetic, is this condition called procrastinating?I love storms,too: but only the part about being cozy. Not the kiwi landslide part.